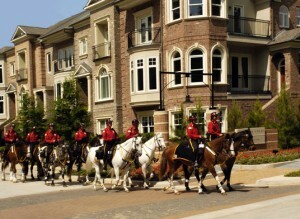 A&O Mounted Patrol and Kel Executive Services provide a wide range of security services for clients in many industries. These case studies give a snapshot of the services and show the many ways professional security can help foster public safety. Troopers patrol for a variety of clients: festivals and concerts, business districts, residential developments, sports arenas and events, amphitheaters, art fairs, and many other types of mass gatherings.